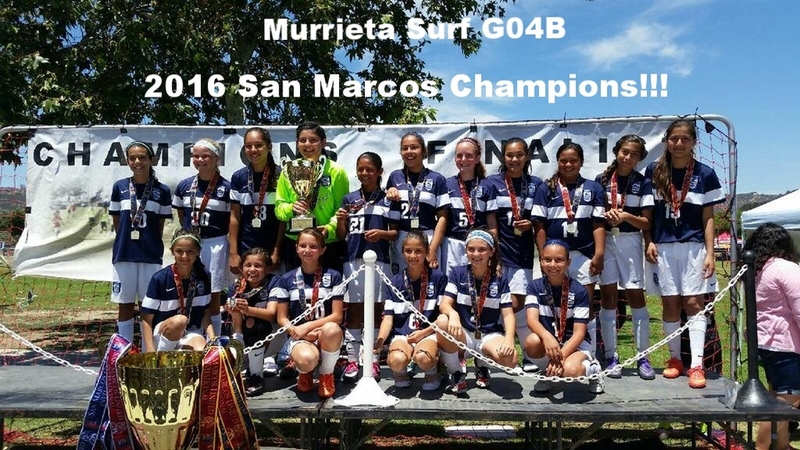 The Murrieta Surf Soccer Club will provide a competitive soccer experience for the committed soccer player. As a club, we will strive to create an environment that will provide each player with a valuable learning experience, an opportunity to improve their soccer skills, an entry into higher levels of soccer, and a chance to be part of a premier program. 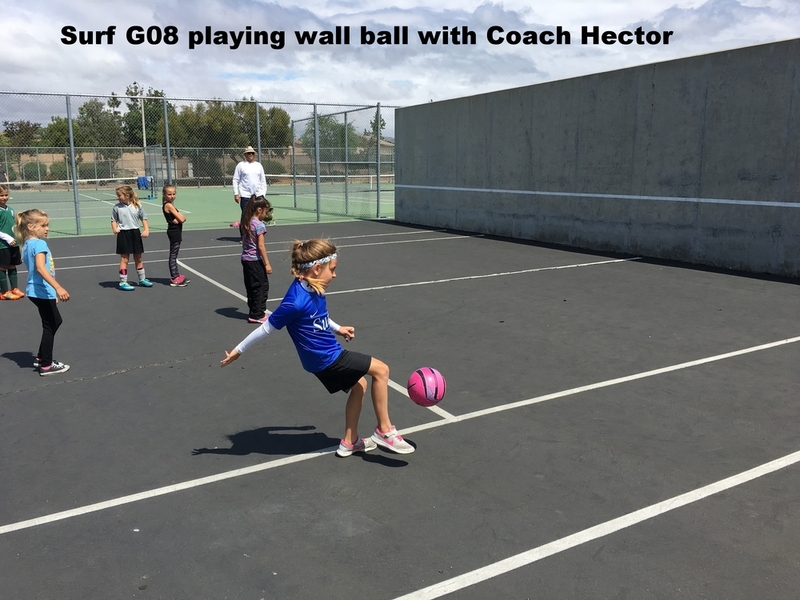 Using soccer as a tool to promote: fair play, self confidence, good social skills, and proper behavior. Our organization's success will be measured by how well we accomplish our objectives, not by win/ loss records. We will abide by rules and regulations of the governing bodies associated with the leagues in which our teams play. 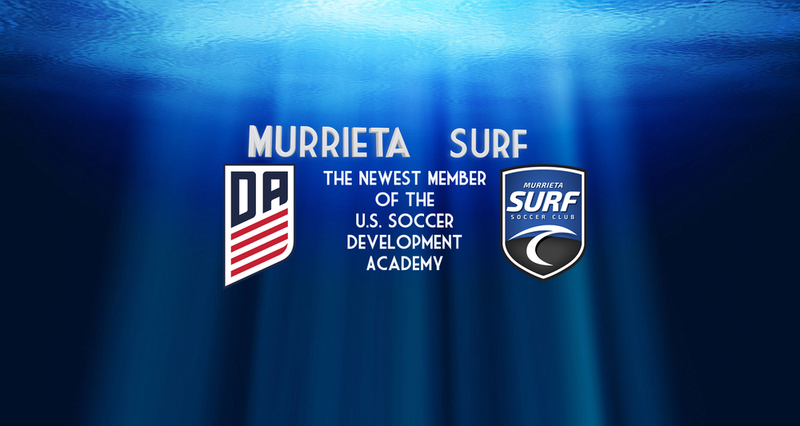 Murrieta Surf strives to be a premier soccer program through the development, progress, and growth of our players. 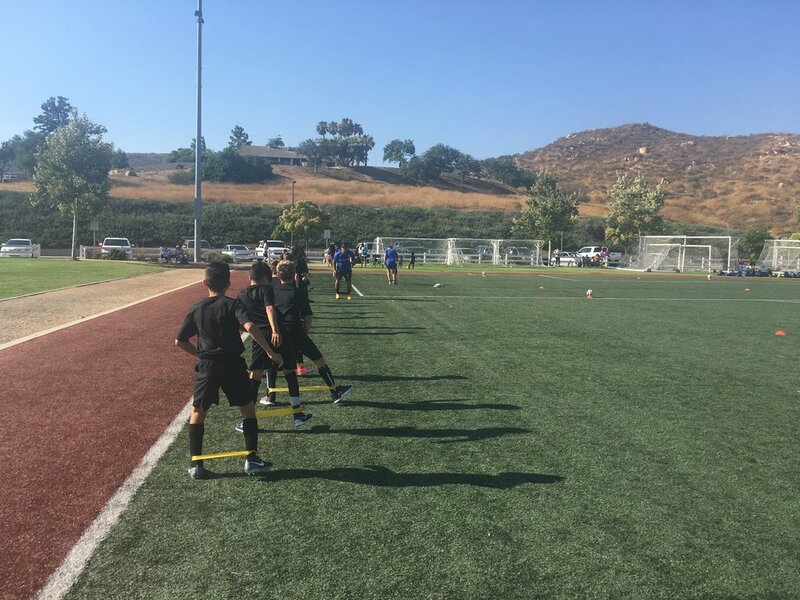 As a soccer club, we want to prepare them for the physical, mental, and emotional complexities of the game, as well as the disciplines and responsibilities of life after soccer. 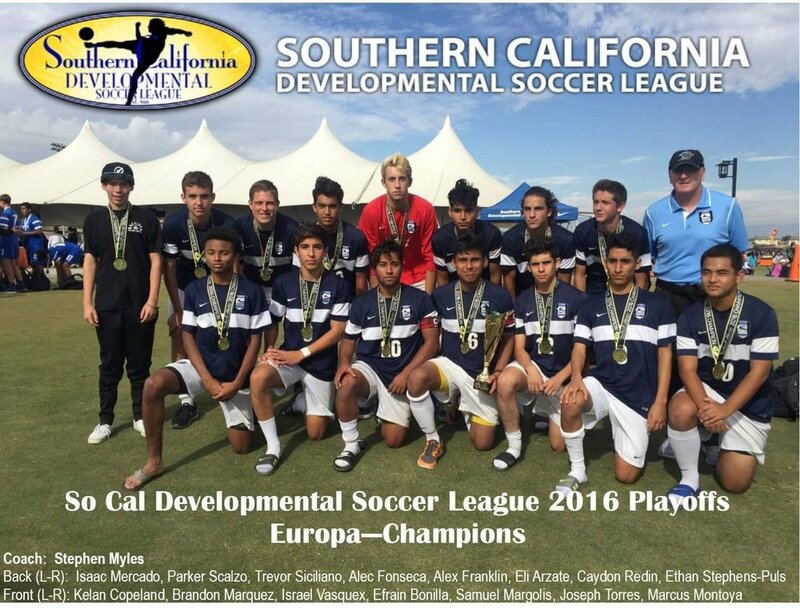 Player development is the primary objective of Murrieta Surf Soccer. This development breaks down into five components: Technical, Tactical, Physical, Social, and Psychological. As the age level increases, different components are stressed. 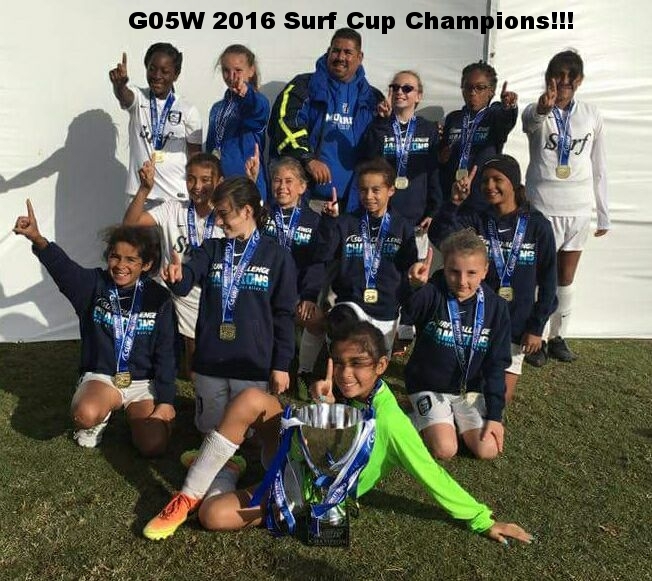 Congratulations Murrieta Surf U12 Boys! Congratulations to 05 White player Enzo Guillito who has been selected for ODP for the second year running. His continuous hard work and development this year has earned him another fantastic opportunity. United Soccer Coaches announced on Thursday the recipients of two of the association’s major annual awards. Cyndi Goodwin has been named the Mike Berticelli Excellence in Coaching Education Award winner and Carin Gabarra was selected for the Women’s Soccer Award of Excellence. Both awards will be presented at the 2018 United Soccer Coaches Convention in Philadelphia to recognize the recipients for their outstanding accomplishments on and off the field. Goodwin will accept her accolade at the Awards Banquet on January 19. Gabarra will be honored at the Coaches of Women’s Soccer Breakfast on January 20. This year’s Mike Berticelli Excellence in Coaching Education Award recipient, Cyndi Goodwin has been honored by her colleagues for her twelve years of service on the association’s National Academy Staff. As a coaching educator, Cyndi has made a positive impact on hundreds of coaches who have learned from her in courses ranging from the 4v4 Diploma to the Advanced National Diploma. 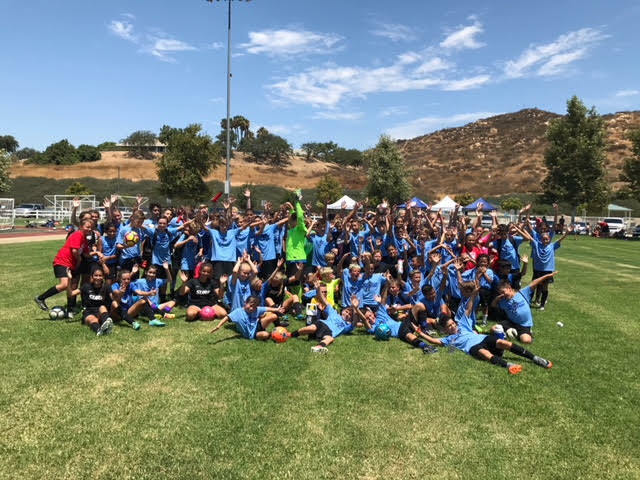 In less visible but equally important roles, Cyndi has served as the United Soccer Coaches Southern California Director, contributed to the reshaping of curricula for several coaching courses and mentored dozens of young female coaches. 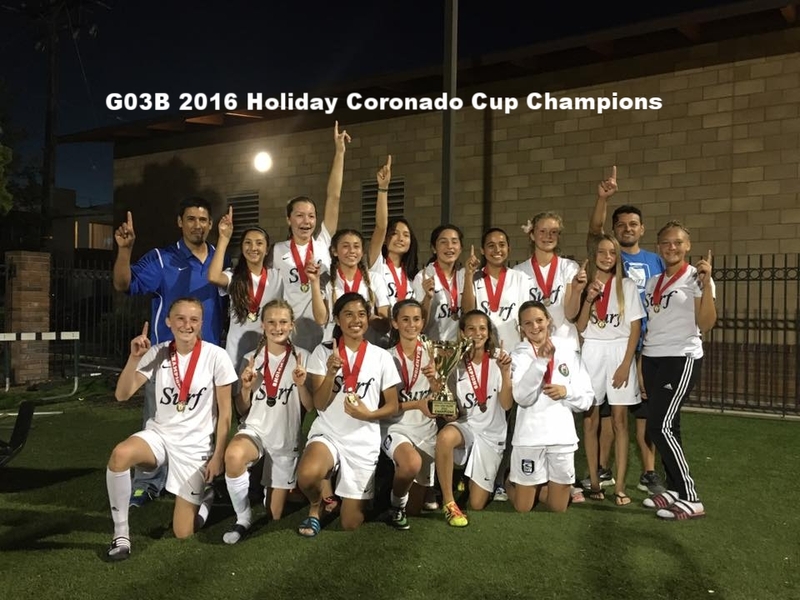 A full time Special Education/Math teacher at Colony High School in California who holds the Premier Diploma and a B License, Cyndi continues her own coaching career as an assistant coach for the women’s soccer team at The University of Redlands and as a staff coach for the Murrieta Surf Soccer Club. Prior to moving to California, Cyndi was a successful high school and club coach in Albuquerque, New Mexico, leading her high school squads to four district championships and earning District Coach of the Year honors four times and State Coach of the Year accolades in 2000. She also coached three state champion club teams and served as an Olympic Development Program coach and scout for ten years. 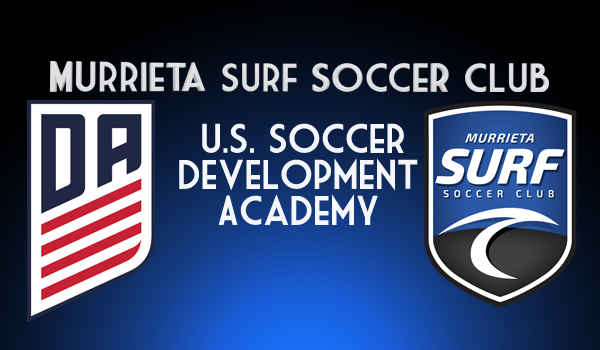 Murrieta Surf Soccer Club announces appointment of Matthew Hocking as Boys Director 2005 to 1999. Former Sheffield United FC and Hull City FC player now a UEFA A licensed coach has joined the Murrieta Surf Soccer Club from English Division 1 team Peterborough United FC. We are absolutely delighted to welcome another top class experienced coach to our program. We are positive Matt will be a great addition to the staff and his experience will undoubtedly rub off on all our players and coaches. 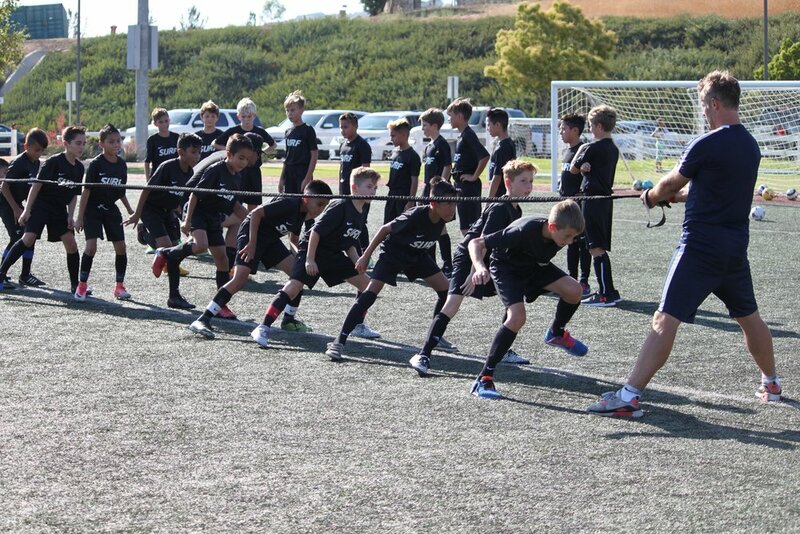 The Murrieta Surf warm up should succeed at a number of aspects with your athletes...the first of which being the prevention of injury, meaning by regularly taking part in the dynamic movements and properly warming up the muscles to be utilized in training sessions, there is a better chance at avoiding injuries during the session itself. Secondly, this warm up will be utilizing the highest level of training techniques currently being used by the professional soccer clubs throughout the world which sets up our athletes up with the best starting point for a proper training session. Thirdly, if the athlete can begin to initiate this warm up before our training sessions start then we can jump right into the training sessions themselves maximizing the time we have together slated for evolution and growth in concept and technique. The total warm up should take about 15-25 minutes depending on your age group and comprehension of the flow of the total warm up...the more your athlete does this warm up, the more awareness they will have and the less reference to the videos they will need. at the Boys U-12 age group. 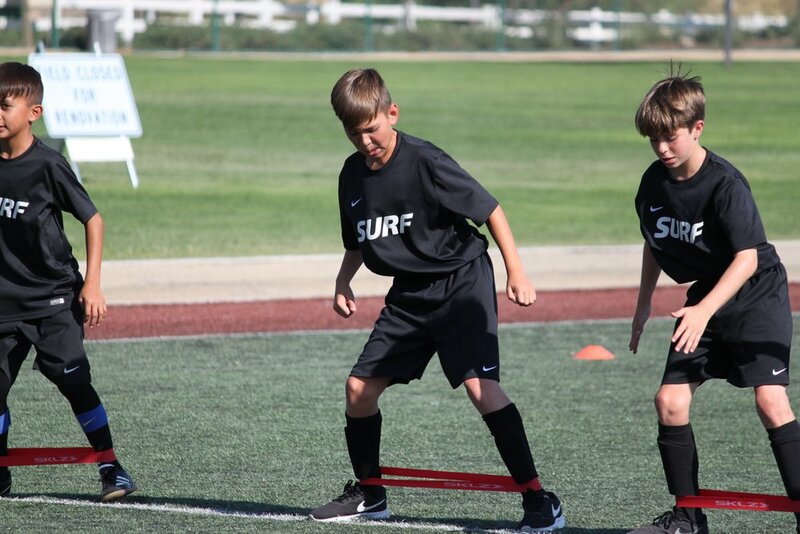 The Murrieta Surf Pre Academy program is designed for youth soccer players from birth years 2010-2013.